The snowdrops are opening all over the village, from the churchyard to the wooded banks of the stream. I hope that we will not see another cold snap. Today has been a hint of Spring, and this morning I pruned the rosesin the garden of the house I’m renting, and employed a fairly gung-ho approach, cutting back hard. 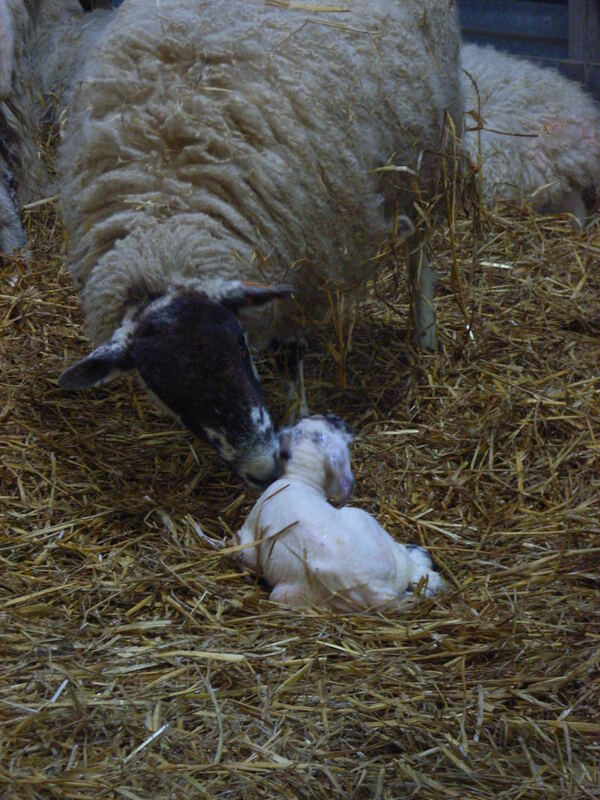 I went up to the farm this afternoon to watch the lambing. It’s an exhausting production line for the shepherds, day and night. The pens in the biggest barn were full of ewes about to drop, all under the attentive eyes of the small team. Outside, newly-born lambs, mostly twins, some sets of triplets, are in family-unit pens, giving them time to bond with their mums, so that by the time they’re put out in the field, imprinting is rock solid. It soon became clear which sheep were about to drop: their restlessness, then their posture, with the head down and forward… Most ewes need no help, but some of the first-time mothers are a bit stupid and in danger of lying on lamb number 1 while they give birth to number 2. It was a magical couple of hours – and a real promise of Spring.